There’s no denying this is a world-class tankless water heater. Noritz tankless water heaters have a very long tradition of quality, and that’s no coincidence. Noritz is one of the world’s best tankless water heaters manufacturer. They have been in business for quite a long time, and they’ve mastered the art of manufacturing high quality premium tankless water heaters. Noritz is (and always has been) an innovator in the water heating industry, and their legacy stretches back over 60 years full of innovation and creativity. Today, Noritz’s steadfast commitment to excellence, innovation and reliability has made them one of the most authoritative brands in the hot water industry. Noritz was founded in 1951 and they have been making quality water heaters ever since. They were the first to introduce a modern electronically controlled tankless water heater in 1981. Noritz America offers a wide range of gas tankless water heaters to meet the varying needs of its broad spectrum of customers, so, whether you’re looking for a tankless water heater for a residential or for a commercial application, Noritz has got you covered. They offer three lines of tankless water heaters. Each line is designed to meet a wide variety of unique customer needs. EcoTough. Noritz ecoTough tankless water heaters are energy-efficient and eco-friendly. They are available in both indoor and outdoor models, and most of them are ENERGY STAR®-rated. ProTough. Tankless water heaters in this category are very well-engineered and are optimized for any size home, including those with high hot water demand. ValueSolutions. Noritz valueSolutions tankless water heaters are the most budget-friendly of all Noritz tankless water heaters. They are best suited for those of you living in smaller-sized homes in warm-climate areas. Cutting your monthly heating bill by up to 40% (as compared to a conventional storage water heater). A Noritz tankless water heater will pay for itself in energy savings over time. Noritz high efficiency tankless water heaters consume 40% less energy than a traditional tank water heater unit. Energy Star® federal and local tax rebates. In addition to higher combustion efficiency and reduced atmospheric pollution, Noritz tankless water heaters are estimated to last twice as long conventional tank water heaters. Moreover, Noritz has affixed specific alpha codes to various plastic components within their tankless water heaters to help identify their material makeup and by that allowing for easier recycling of those materials and components once the product is discarded from service. Whichever Noritz gas tankless water heater you decide to opt for, you can expect a return on your investment. The downside, however, is the huge upfront investment. These tankless water heaters are expensive. If you want to go balls-to-the-wall and actually purchase one of these water heater units, you’ll be looking at a $900-$1400 price tag – something this good is naturally expensive, and this hefty price tag can be a bitter pill to swallow. However, you’ll be getting a solid tankless water heater that will pay for itself in energy savings over time. Please note, though, that the price listed here does not include installation. Obviously, the Noritz NRC98 are some of the best tankless water heaters on the market. They are available in both natural gas and propane. And whichever type you decide to opt for, there’s the indoor and outdoor models. 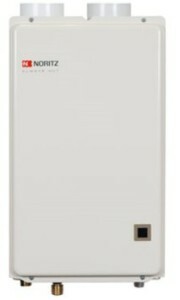 The NRC98 are Noritz’s brand new ultra-high efficient condensing tankless water heaters. 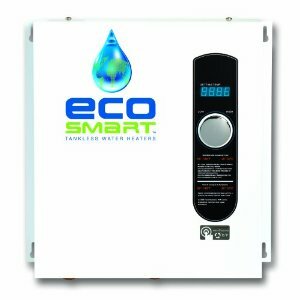 These ENERGY STAR certified tankless water heaters are best suited for residential applications. They feature an Energy Factor of 0.93 which is about 30 points higher than that of a standard, tank-type gas-fired water heater. The 0.93 EF is also approximately 10 points higher than that of a comparably sized, conventional tankless water heater unit. Noritz NRC98 tankless water heaters sport a maximum flow rate of 9.8 gallons per minute (gpm). Their temperature settings ranges from 100°F to 140°F. And in addition to their reliability, energy efficiency and long life span, these water heaters are eco-friendly. Not only they have low NOx emission, but they are also built with recyclable materials. Noritz has affixed specific alpha codes to various plastic components within the NRC98 to help identify their material makeup when it is time to recycle the unit. Featuring a standard BTU input range of 16,000 to 180,000, NRC98 Tankless Water Heaters are engineered to fully meet the needs for hot water of a relatively large family living in a cold climate area. In northern states such as Montana, North Dakota, Minnesota …etc, a Noritz NRC98 tankless water heater units can provide enough hot water for two bathrooms. In warm climate areas, they can deliver enough hot water for up to three baths. Noritz NRC98 is a series of high efficiency condensing tankless gas water heaters designed and built from the ground up with quality in mind. While conventional tankless water heaters save energy by heating water strictly on demand and therefore avoiding stand-by loss, condensing tankless water heaters allow for even greater and substantial energy savings by taking advantage of the flue gas. 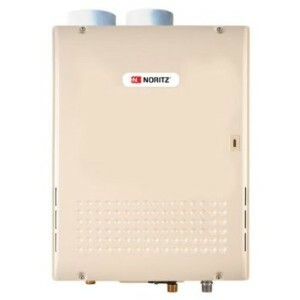 Condensing tankless water heaters such as Noritz NRC98 feature two durable heat exchangers. In addition to the primary heat exchanger that heats the water as it travels through it, a condensing tankless water heater model incorporates a secondary heat exchanger that uses flue gases to preheat the incoming cold water on its way to the primary heat exchanger, and by that increasing the unit’s efficiency. 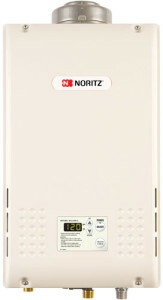 Noritz NRC661 tankless water heaters are quite affordable compared to the NRC98 series. And that’s we love most about them. While the NRC98 units are priced over $1200 easily, the NRC661 series of tankless water heaters get the job done for around $900. That’s still quite pricy. However, these tankless water heater will pay for themselves in energy savings over time. They are built with precision quality and are estimated to last up to 15 years, which is almost double what a typical tank type heater lasts. Noritz NRC661 tankless water heaters come in various models. They are available as outdoor (requires no venting) or indoor Direct Vent (-DV) models.These tankless water heaters feature 6.6 GPM and can run up to two showers without running out of hot water. They are also rated for 93% efficiency which is not only good for the environment, but also for your pocket. Noritz NRC661 Tankless water heaters are praised for their compact design. They’ll save you valuable floor space as they are smaller than a carry-on luggage. Some of these models can be wall-mounted outdoors. Unlike traditional tankless water heaters, Noritz NRC661 condensing tankless water heaters capture heat from the exhaust gas and use it to preheat the incoming cold water as it passes through the secondary heat exchanger. These tankless waters are equipped with a built in display that you can use to preset the output temperature to either 120°F, 135°F, or 140°F. The display window also allows you to view the status of unit or error codes.